As he continues to prove with every one of his absurdly impressive videos, Candide Thovex is one if — if not the best — skiers alive. 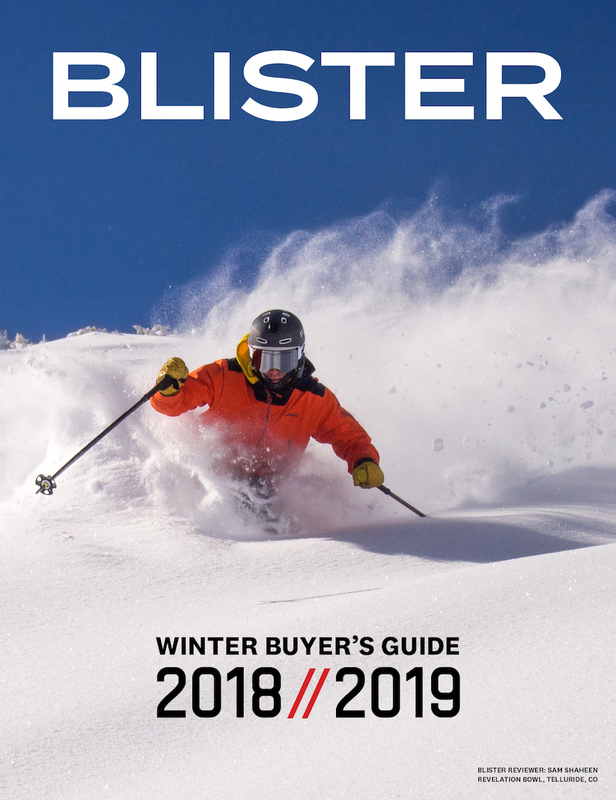 As always, when a company puts the name of such a skier on a product, there is going to be some warranted hype and interest around that product. In the case of Candide, that product is actually a whole series of skis from Faction. 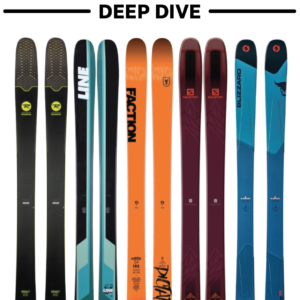 And for the 18/19 season, Faction is tweaking the Candide 3.0 and 4.0, adding poplar reinforcements to the cores of both skis to reportedly help with durability and edgehold. Last year, Jonathan Ellsworth reviewed the 17/18 version of the Candide 3.0 (aka, “CT 3.0”), and you should definitely check out his review as many of his comments reflect our experiences on the 18/19 version. 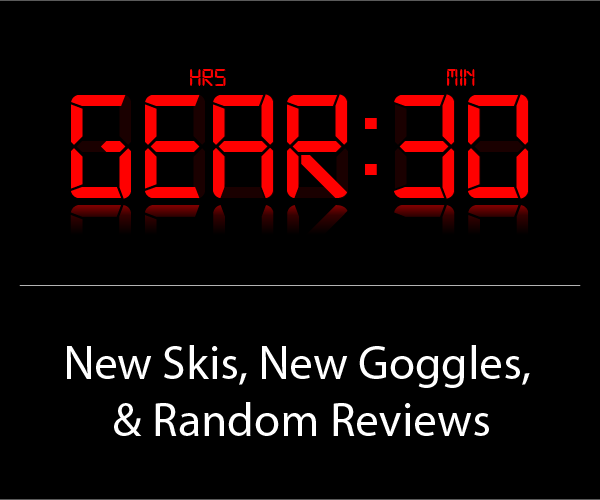 Here, Sam Shaheen (SS), Joey Teahan (JT), and I (LK) will all add our thoughts on the 18/19 CT 3.0, each offering our own perspective on this all-mountain freestyle ski. (LK): Just like the previous version, the 18/19 CT 3.0 has a nearly symmetrical flex. It has accessible tips and tails, but it’s actually fairly stout through the midsection. Compared to the previous version of the CT 3.0, the new one is pretty similar in terms of flex, with maybe slightly softer tips and tails. I really like the flex of the CT 3.0 — its tips and tails are forgiving and easy to press into, but you are still left with a strong platform through most of the ski so it doesn’t feel very noodly. Instead, the flex of the CT 3.0 is snappy and supportive. The 18/19 CT 3.0 is coming in just slightly heavier than the 17/18 version, which isn’t surprising given the poplar additions to the core. But that difference is minor, and the 18/19 CT 3.0 is still a pretty light ski, especially compared to other skis in this class. This is one of the defining characteristics of the CT 3.0, and further down we’ll go into more detail on how this low weight plays out on snow. (LK – 5’8″, 150 lbs): If you’ve seen any of Candide’s segments, it should come as no surprise that the CT 3.0 feels very playful. The CT 3.0 basically looks like a fat park ski, and it kind of skis like one, albeit with strong all-mountain performance. It’s very poppy, you can easily flex into the tips and tails for nollies and ollies, and it will happily break loose into slashes. The CT 3.0 is a ski that really encourages popping off natural features all around the mountain, and its combination of a low weight and the forward mount point make shifties and tweaks feel easy and intuitive. In Sam’s Flash Review of the CT 4.0, he talked about how it was a ski that (unsurprisingly) encouraged exactly the type of skiing that its namesake has become known for — fast, hard, and eager to jump off everything in sight. I’d say the same exact thing about the CT 3.0 — you get on it and just want to channel your inner Candide. This isn’t a Bunch-style butter noodle, it’s a ski that wants you to go fast and jump off stuff. (SS – 5’10”, 140 lbs): Agreed, the Candide 3.0 is quite playful. It’s lightweight and balanced in the air, and feels natural slashing, spinning, and popping off all sorts of natural features. The tips and tails feel quite loose, and its progressive mount point makes the 3.0 feel very much like a big park ski. (JT – 6’3″, 190 lbs): I loved the playfulness of the Candide 3.0. Tons of pop, but soft enough to hold a press without too quick of a return. The CT 3.0’s swing weight felt really low, so spins and swaps were quick and snappy. At first, I felt a little spooked trying to break the tails and tips free at higher speeds because they held so well on groomers, but after a lap or two, I became more comfortable schmearing turns thanks to the predictable flex of the CT 3.0. (LK): I thought the CT 3.0 held an edge pretty well on smooth-ish groomers, though it definitely felt like it preferred medium- to long-radius turns (and therefore required slightly higher speeds to get on edge compared to skis with tighter sidecut radii). The CT 3.0 has very minimal tip and tail taper, and I think this is probably what contributes to its solid edge hold and energy out of the turn. On wide open groomers like Telluride’s Misty Maiden, the CT 3.0 is a lot of fun. Let them run a bit, lay them over, and you’re rewarded with a strong platform and pretty good pop out of the turn. The ski is less fun on super firm or really roughed-up groomers, but if the snow was fairly soft and / or smooth, I had a great time laying over big turns on the CT 3.0. I’m super excited to break out the CT 3.0 for some slushy spring laps as this ski really stands out when conditions are a bit more forgiving. With all that said, you can definitely still mess around on the CT 3.0 at slow speeds thanks to its low weight, playful shape, and poppy flex. Just don’t expect to be able to carve really tight turns on edge. (SS): I agree with Luke here. At slow speeds, the Candide 3.0 feels comfortable making lower energy, medium-radius turns. But to really get the ski to bend underfoot, I had to ski pretty fast. And at those higher speeds, the Candide had good edge hold and energy out of a turn. It definitely prefers medium to long turns and prefers a more neutral carving stance. Sam Shaheen on the Faction Candide 3.0, Telluride Ski Resort, CO.
(JT): I thought the Candide 3.0 felt playful at low speeds, and it was easy to hop to switch and back without worrying too much about catching an edge. When I got going faster, the edge locked in significantly more, and the CT 3.0 felt less like a park ski and more like an all-mountain ski. (LK): In moguls, the 186 cm CT 3.0 felt pretty big to me (in terms of size, not weight), and I especially noticed that there was a lot of tail behind me while skiing at the recommended mount point. While the CT 3.0 is very easy to flick around, the fat tips and tails and fairly wide waist didn’t encourage me to try take a super quick line through steep and / or tight bumps. Pivot and slide? Sure. Zipper line? Not as much. The ski is a lot more fun in spaced out bumps where you have some room to pop off the tops. As Jonathan noted in his review of the 17/18 CT 3.0, it does not like it when you try and ski bumps backseat. Same deal with the 18/19 version. It’s definitely not as demanding as more directional, stiffer, and / or heavier skis, but the CT 3.0 is still pretty stiff through much of the ski, so don’t expect to be able to lazily ride the back of the ski in bumps. While I didn’t love the CT 3.0 in tight moguls, Sam actually got along quite well with it in bumps. Granted, I’ve seen Sam put down some seriously impressive zipper lines on dedicated carving skis, so I’m not very surprised that he had an easier time than I on the CT 3.0 in moguls. I think one of my issues with it was that I had a hard time staying balanced over the ski at the recommended line. So this is one area where I’m very curious to see how the ski feels with the bindings back a few cm’s. I’m also going to try detuning the tips and tails a bit, and will report back with an update. (SS): Contrary to Luke, I thought the CT 3.0 did pretty well in bumps. It certainly isn’t svelte and super nimble, but it is lightweight and the forgiving tips make it pretty easy to bash them into the fronts of moguls when zipper lining. The one complaint that I have about the CT 3.0 in moguls is that, because the mount point is pretty far forward, and the ski is pretty long, there is a lot of tail behind the binding. In tighter and steeper bumps, I noticed the tail getting hung up on bumps that I already thought were behind me. Otherwise, for a ski of this length and width, I thought the Candide did a pretty good job in bumps. (LK): At the recommended mount point of -2.45 cm from center, the CT 3.0 prefers a neutral stance, but I was still able to drive the shovels more than I could on the ON3P Kartel 108. At the recommended line, I definitely think the CT 3.0 will appeal most to skiers who typically use skis with more forward mounts. But with that said, Sam and I both had a lot of fun on the CT 3.0, and we had been coming from skis with more traditional mount points. It’s also very interesting that the 18/19 CT 3.0 does not include a more rearward “all-mountain” line like the 17/18 version does. However, Faction didn’t change the shape of the CT 3.0 for 18/19. 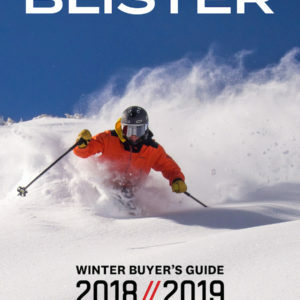 So, if you are a more directional skier and are interested in the CT 3.0, I’d recommend checking out Jonathan’s review of the 17/18 version as he reviewed it at the previous ski’s “all-mountain” line of around -6.5 cm from center. Our experiences on the 18/19 version have been very similar to Jonathan’s experience with the 17/18 version, so we expect much of what he says about the 17/18 CT 3.0 to be true for the 18/19 version. Though I’m pretty much always the person who wants to bump a ski’s bindings forward, I’m actually very interested to try the CT 3.0 with the bindings moved back a bit to see if it will maintain its playful feel while being able to be driven a bit more than it can at the recommended line. I’ll update this review once I get a chance to play around with the mount point some more. (SS): Yep, I agree. The CT 3.0 is a freestyle-oriented ski with a progressive mount point, so it can’t be pushed as hard through the shovels as heavier and / or more directional skis. But for a ski with this mount point, I was surprised and pleased by how hard I could push through the front of my boots when I needed to, and still ski with a neutral stance everywhere else. It’s a fun combination, and I think it makes the CT 3.0 a bit more versatile than skis that demand either a centered or a forward stance. (JT): Coming from the Line Tom Wallisch Pro (which I had mounted at -3.25 cm from center), and as someone who prefers and is used to a neutral stance, I found the mount point on the Candide 3.0 to be very comfortable. At the same time, when I was pushing hard into the front of my boots, the ski still felt stable and predictable. (LK): While Faction added some denser wood to the core of the 18/19 CT 3.0, it’s still a pretty light ski, and it feels like it when the snow gets more chopped up or inconsistent. It doesn’t have the stability of heavier skis in these conditions (duh), though it was still predictable and not scary by any means — I just had to make more deliberate turns and ski with a bit more finesse. And if you’re accustomed to lighter skis and choose to provide the suspension yourself rather than ask the ski to do so (*cough* Jonathan *cough*), well then I think you’ll really like the CT 3.0. And when the variable snow was fairly soft, I could still push the CT 3.0 quite hard. And if that variable snow was slightly soft and I had room to pop off patches of snow? Well, that’s where the CT 3.0 shines. Again, this ski really just wants you to ski more like the guy it’s named after. (SS): I agree with what Luke said, and I’ll add that while the Candide 3.0 doesn’t have the top-end stability of heavier skis, the fact that it can be driven through the shovels makes it more manageable for me in chop and variable snow than skis that require centered stances. For me, being able to push a ski through the front of my boots means that I can keep it on track better in variable snow. When I have to ski with a more neutral stance, even heavier, stronger skis get bucked around easier. (JT): Despite how light it is, I thought the Candide 3.0 performed pretty well in variable snow. While it is light enough that you’d expect it to get bucked around, it felt more comfortable in chop than some other stiffer skis, since the CT 3.0’s tips and tails are forgiving enough to absorb some impacts, but with a fairly solid platform underfoot. (SS): As we noted earlier, the Candide 3.0 basically feels like a fat park ski. It has a very balanced nature with tips and tails that are soft and poppy. Butters feel easy and natural, park jumps feel a touch sluggish (because of the width) but still balanced and smooth. And on rails (with a detune), the Candide 3.0 feels just like a wide park ski — naturally balanced, surfy, and fun. Especially if you prefer a wider platform, the Candide 3.0 would make a good 50/50 park/all-mountain ski (just keep in mind that it is still a pretty light ski, and we’d recommend thinking about that before really bashing it into a ton of rails). (JT): I haven’t actually ridden any park on the CT 3.0, but I was able to land a couple nollie front flips on the CT 3.0, and thought the skis felt quite stable underfoot (even when only landing on one of them…). The Faction Candide 3.0 feels strong on groomers, can be let loose into slashes and butters, and maintains pretty good stability given its low weight. It really fits the description of an “all-mountain freestyle” ski — quite playful, but with enough backbone to handle just about everything on the mountain as long as you ski with more finesse than brute force. Sam, Joey, and I all had a good time on the ski, and that points to its versatility given our different backgrounds. 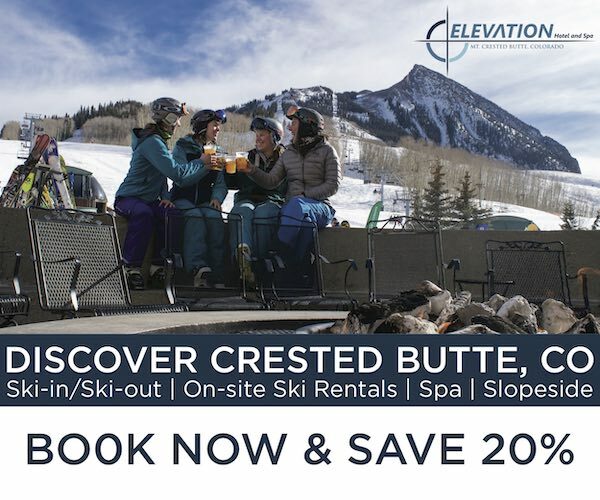 At the recommended mount point, we think it will work best for people who like to ski with a more centered stance and want to utilize the CT 3.0’s playful flex and rocker profile. And for those people, it is a solid choice for a wider one-ski-quiver. Finally, given that the previous version of the Candide 3.0 shared the same shape but also had a more rearward mount option, we’ll be testing the 18/19 Candide 3.0 with the bindings pushed back towards that line to see how it skis with a more traditional mount point. We’ll update this post once we’ve gotten some more time on the ski. 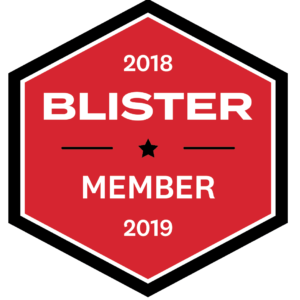 Become a Blister Member or Deep Dive subscriber and check out our Deep Dive of the Candide 3.0 to see how it stacks up against the ON3P Kartel 108, Faction Prodigy 3.0, Moment Meridian 107, Sego Big Horn 106, Line Sick Day 104, and Blizzard Rustler 10. I would be curious to see how it compares to the J Skis Metal? I’m a fairly directional skier but looking for something more playful. The skis they would be replacing are first gen Cochise 185. I guess my main question is would it be crazy to size down? I’ve been skiing a lot more trees and steeps the last couple years. I’m 185 weight 6 feet tall. Guys, have you had a chance to check powder performance of 18/19 version? Unfortunately not, though I’d definitely recommend checking out Jonathan’s review of the 17/18 version as he did get it in some powder. The main caveat with his notes is that he skied the 17/18 version at a mount point of around -6.5 cm from center, and we’ve been skiing the 18/19 version at -2.45 cm from center. We’ll update this review if we’re able to get the 18/19 CT 3.0 in some pow this season so we can comment on how it feels in pow with the more forward mount. Any updates? Have you tried them with bindings moved backed already? Yep, spent a few days on the CT 3.0 with the bindings moved back 3 cm to around -5.5 cm from center. The bottom line after that was that Jonathan’s experience on the 17/18 CT 3.0 mirrored mine on the 18/9 CT 3.0 with the bindings moved back. I could drive it a bit more, it felt a touch more forgiving in bumps (since there was less tail), it floated a bit better in fresh snow, and felt less balanced in the air. So no real surprises or major revelations — the ski just felt a bit better when it came to skiing with a forward, driving stance. As a skier who is looking for an everyday ski, from hard icy and variable conditions, to 10 cm fresh powder conditions (not looking for a deep powder ski as I already have a pair). 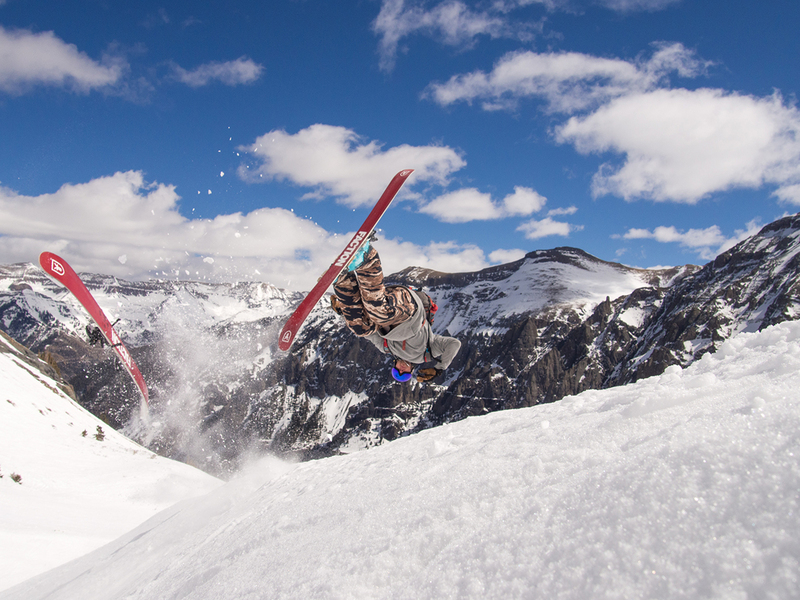 I am looking for a ski that is stable at high speeds, but also playfull to do tricks and hit cliffs. Hey, I’d second that request for a comparison with j skis The Metal. I’m trying to decide between the two. I’m an older guy but still like to ski hard in steep bowls, pow and occasional bumps. Thanks! We’ll need to get back on The Metal to do that comparison, but we’ll work on that for the coming season and will try and add it to our Deep Dive of the CT 3.0. Though just based on the two ski’s differences in weight alone, I think it’ll be a pretty clear choice — if you want a more damp feel and don’t need your skis to be lightning quick, then The Metal will be a better choice. The CT 3.0 is a better call the more you prioritize low weight and / or if you don’t need very high top-end stability. When buying this ski online, I have to choose mounting point between “+0 cm = manufacturer’s recommendation/All-Mountain” and “+4 cm = Candide Thovex”. When chatting with Factionskis online they say that the Candide-line is 4 cm from true center (“Candide center is 890mm distance from tail”), and recommended line is 7 cm from true center (“the recommended boot centre distance from tail mm is 860mm”). You write: “(LK): At the recommended mount point of -2.45 cm from center”. All this makes me very confused. 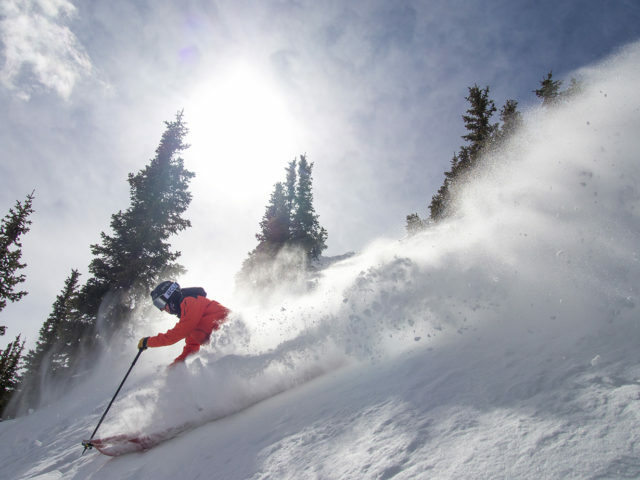 Did you ski it at “recommended/all-mountain” or “Candide-line”? And how does your -2,45 cm compare to their measurements? Candide-line is 4 cm from true center (“Candide center is 890mm distance from tail”), and recommended line is 7 cm from true center (“the recommended boot centre distance from tail mm is 860mm”). •All Mountain Line: -6.9 cm from center; 85.0 cm from tail (4 cm behind Candide line). How does this ski compare to the Faction Candide 2.0?